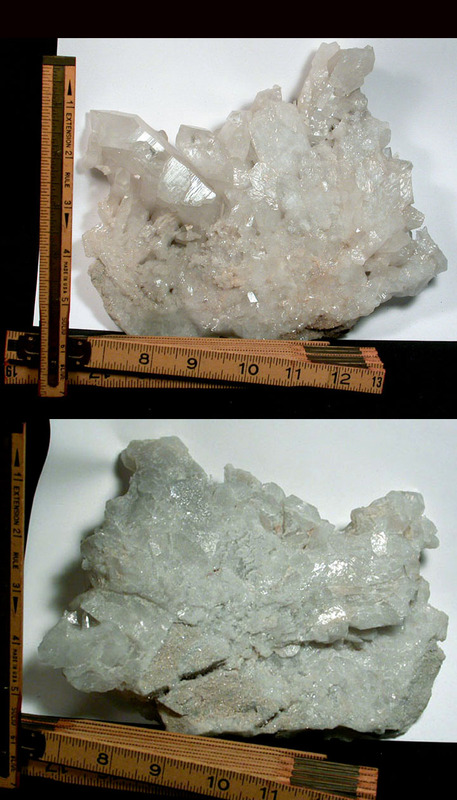 Rock crystal charging plate of 9x 7x 1-1/2� thick mined at Fisher Mountain, Montgomery County, Arkansas. Of sandstone with drusy and scaled milk quartz on the back, the front side of this plate features highly textured regrowth with UNcountable record keepers and a long side of translucent to crystal clear points. The largest point is 1-1/4x 4-1/4� with penetrators, barnacles, a large attenuated spade [Isis] face as well as a very uncommon tabular mantle. The next in line has an old, regrowing tip ding which may have been the impetus for the rare iris easily seen at its� channel face. 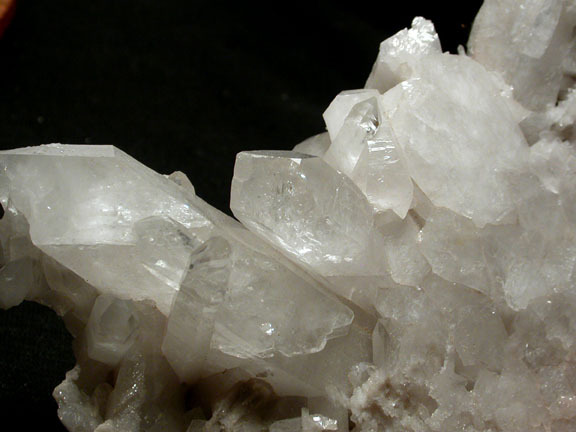 More points in the line, rainbows, record keepers, and the most unusual growth patterns we�ve noticed in the compound crystals at the top right. This cluster sings around its� edges as it is handled. Sent doubly boxed with handwritten description on the reverse of our enclosure card. Shipping will be added. AVAILABLE FOR SHIPMENT TO RUSSIA, AS ARE ALL LISTINGS ON OUR SITE.